2020 Porsche Cayenne Coupe unveiled globally - India bound? Days after Mercedes Benz unveiled the GLC coupe, 2020 Porsche Cayenne Coupe broke cover. The Porsche Cayenne Coupe is underpinned by the Cayenne SUV, however, boasts a new body style. 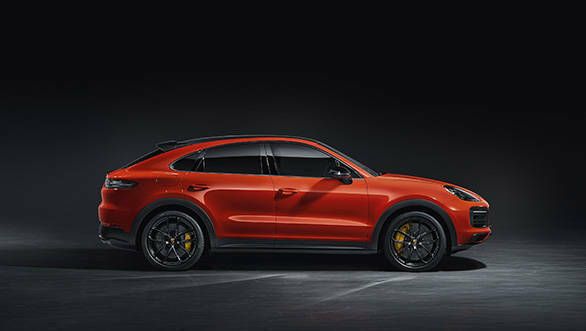 The Cayenne Coupe boasts of a sloping roofline, tapers into a raised boot. There is an optional carbon fibre roof on offer as well. The Cayenne Coupe also gets the adaptive roof spoiler. Above the speed of 90kmph, the spoiler extends up to 5.3 inches to increase downforce to the rear axle. Upfront the coupe has a similar fascia to the one on the SUV, however, gets redesigned bumpers. With the Coupe, Porsche offers Porsche Active Suspension Management (PASM), the Sport Chrono Package and 20-inch wheels as standard. Inside the cabin, eight-way sport seats are standard equipment for the front passengers. 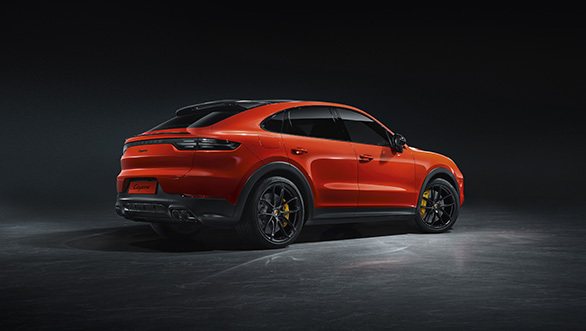 Powering the 2020 Cayenne Coupe are two engines - 3.0-litre single turbo V6 and a 4.0-litre twin turbo V8. The former produces 339PS and 450Nm of torque and is capable of doing a 0-100 kmph run in 5.7 seconds and has a top speed of 250kmph. 0.1 second can be shaved off with the optional lightweight sports package. The bigger engine option offered in the top-trim produces 548PS and 760Nm of torque. 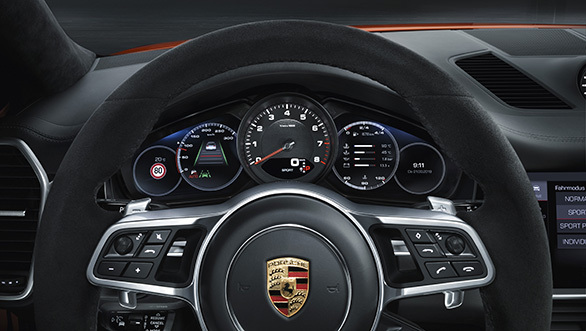 The top trim is capable of rocketing from a standstill to a 100kmph in 3.7 seconds and tops out at 286kmph. The 2020 Porsche Cayenne Coupe is priced between USD 75,300 and USD 130,100 which translates to Rs 51 lakh and Rs 89 lakh with today's currency conversion rates. The new SUV coupe rivals against the BMW X6 and the Mercedes Benz GLE Coupe.